Previously in Stick Cats: Hiding out in a desolate cave with Amazonia, the Cat-Formerly-Known-As-Octo-Kitty has decided to reveal its secret origin! 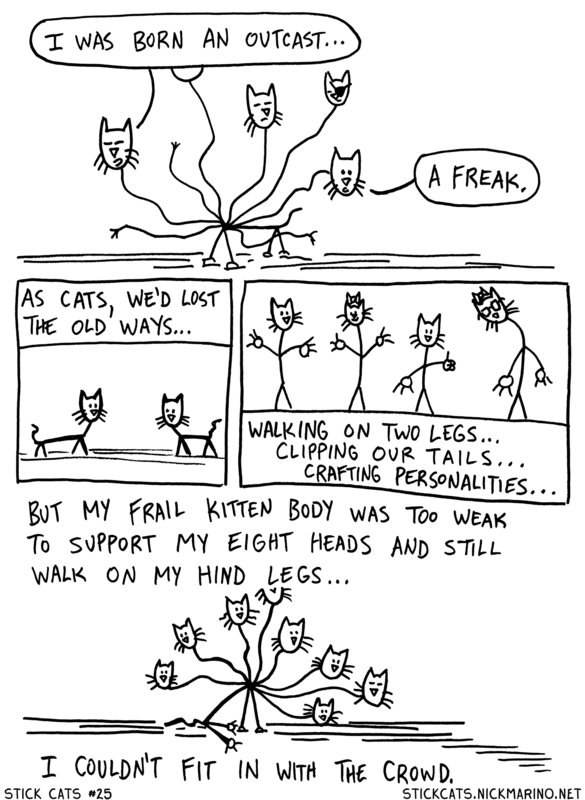 Stick Cats is going thrice weekly! Starting with next Monday -- Halloween a.k.a. Oct 31st -- you can read new Stick Cats pages on Monday, Wednesday, and Friday. And it'll be like that for the next month and a half, until I reach the end of Act III with #45. After that? WHO KNOWS! If it seems like peeps are really digging more Stick Cats, then you can be sure that I'll keep putting them out on a more frequent basis.